LONDON -- For Kate, the wait is over. 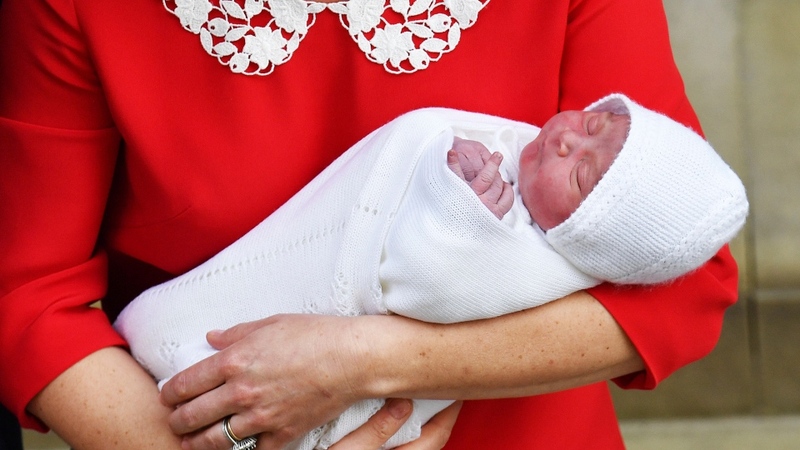 The Duchess of Cambridge gave birth Monday to a healthy baby boy -- a third child for Kate and Prince William and fifth in line to the British throne. 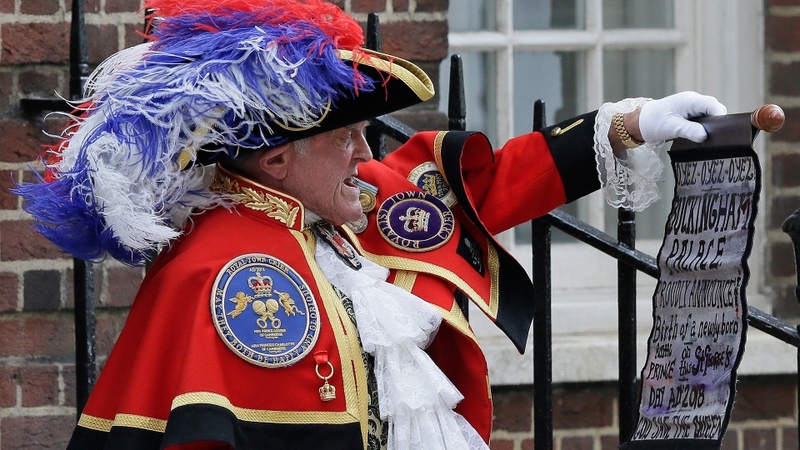 The couple's Kensington Palace office announced news of the birth around lunchtime, about five hours after the 36-year-old duchess and her husband travelled by car from their Kensington Palace home to the private Lindo Wing of St. Mary's Hospital in central London. The infant's name, which has been subject to a flurry of bets, hasn't been announced. 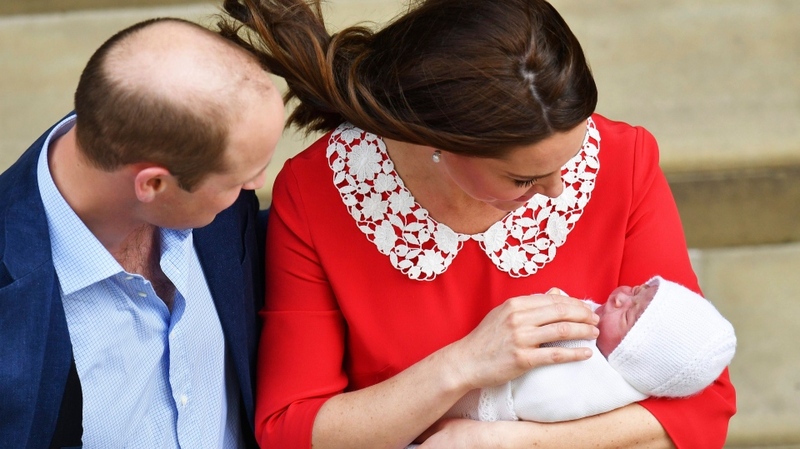 Arthur and James are among bookmakers' favourites for the new prince, whose full title will be His Royal Highness, Prince (Name) of Cambridge. 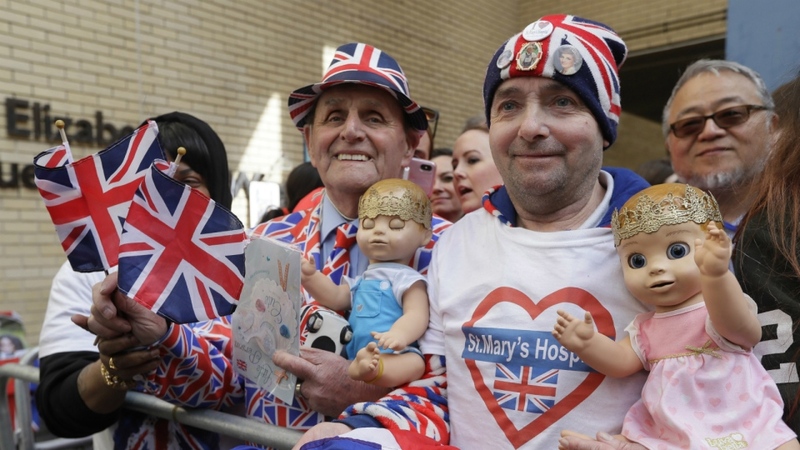 The birth was overseen by a team of doctors including consultant obstetrician Guy Thorpe-Beeston and consultant gynecologist Alan Farthing -- who were also called in for the births of George and Charlotte -- as well as the hospital's midwives. British Prime Minister Theresa May offered congratulations to the couple, saying "I wish them great happiness for the future." Canadian Prime Minister Justin Trudeau echoed the sentiment on Twitter: "Canada welcomes a baby boy to the Royal Family! Sophie & I send our congratulations to William and Kate, the Duke and Duchess of Cambridge, and to George and Charlotte on the new arrival," he wrote. 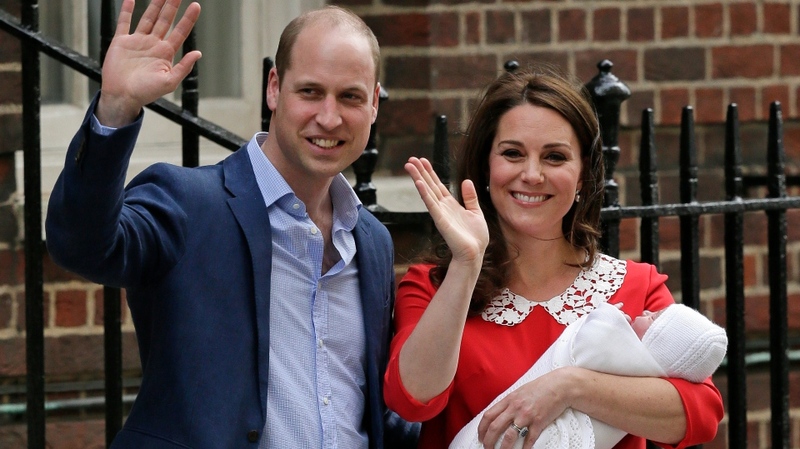 Canada welcomes a baby boy to the Royal Family! Sophie & I send our congratulations to William and Kate, the Duke and Duchess of Cambridge, and to George and Charlotte on the new arrival.